Tax risk – by which we mean the risk of owing more tax than you say you owe when you file your tax return – is an inevitable consequence of doing business. This is because, however clear and certain tax law is, it cannot anticipate the infinite variety of real commercial situations. And where there is uncertainty, a taxpayer might take one view of how the law applies, and HMRC might take another view, and HMRC might be right. There is nothing wrong with taking steps to mitigate such tax risk when it arises, for example by structuring a transaction differently so that the risk does not arise. That kind of behaviour is one of the two forms of ‘legitimate tax planning’ (i.e. tax planning that is not tax avoidance). The other kind of ‘legitimate tax planning’ is where you do something which Parliament intended should attract a tax relief. Much tax planning, however, does not fall into either of these categories. What happens is that taxpayers deliberately create tax risk with the intention of making tax savings – this is tax planning which, for whatever reason, may or may not succeed – and then take steps to mitigate this ‘deliberately created’ tax risk in order to ensure that they have the best chance of obtaining the saving. This behaviour is both institutionally and legally distinct from ‘legitimate tax planning’. It is institutionally distinct, because the tax risk originates in tax planning and is therefore created by tax professionals rather than being encountered by them when they review commercial plans and operations, and it is legally distinct, because the steps taken to mitigate these sorts of tax risks are not steps which Parliament intended should attract a tax relief. 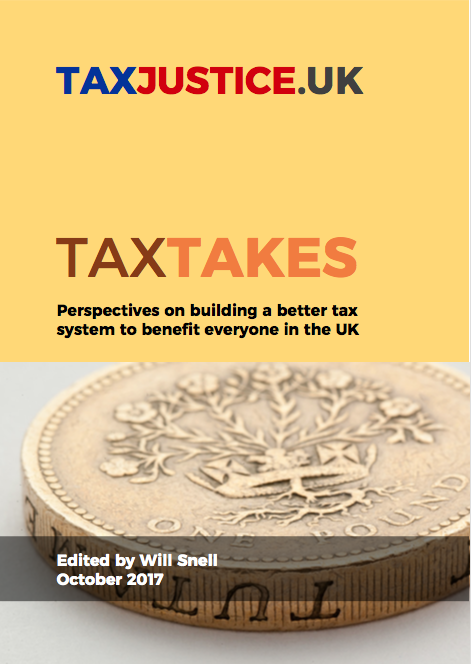 Amounts of deliberately created tax risk – in other words amounts of tax put at risk by tax planning irrespective of how effectively the risk is then mitigated – are broadly equivalent to amounts of tax ‘avoided’, but with one crucial difference. Tax avoidance is generally thought to be an indeterminate ‘grey area’, meaning that it would not be possible to determine how much tax is being avoided. On the other hand a corporate tax function should be able to (a) identify deliberate tax planning which introduces tax risk factors, and (b) put a reasonably precise figure on the amount of tax saved by such planning. This is important. It means that it should be possible to obtain real hard data about a category of tax abuse which the tax industry claims is only capable of vague definition. Corporation tax law should therefore require companies to perform that computation in relation to all deliberately created tax risk, and include the resulting figure in their tax returns. It should also require them to be able to substantiate how the figure was derived, disclosing the relevant transactions where appropriate, upon HMRC request. In addition, a tax-geared penalty should apply where companies deliberately create tax risk and do not include the amount of the tax put at risk on their tax returns. To emphasise, the amounts that it is suggested should be disclosed would represent tax put at risk by the company’s tax planning, irrespective of how well the risk is mitigated. This is because the purpose is to find out how much tax is being avoided, irrespective of whether the avoidance would turn out to be successful or unsuccessful upon forensic analysis. What purpose would be served by such a figure? There would be at least three purposes. First, it would greatly assist HMRC in risk-assessing individual corporate taxpayers. Second, it would enable HMRC (upon investigation of taxpayers’ disclosures) to better keep track of developing trends in corporate tax avoidance. And third, the figures could be aggregated across the corporate sector and published alongside somewhat vaguer ‘tax gap’ estimates as a precise and objective indicator of the scale of the problem of corporate tax avoidance. The usual argument against suggestions like this is to do with the costs of compliance. Such complaints would be without merit in relation to this proposal: competent tax risk management requires that this kind of analysis be performed in any event. The additional compliance burden would be little more than putting the figure in the box on the return. And if that is too burdensome, companies always have the option of not deliberately creating tax risk at all.